يقع Beachfront Apartments on Trinity Beach في شاطئ ترينيتي, كيرنز, هو خيار شائع بين المسافرين. يمكن من هنا للضيوف الاستمتاع بسهولة الوصول إلى كل ما تقدمه هذه المدينة النابضة بالحياة. يشكل هذا الفندق ملاذاَ مريحاً للاسترخاء ويمنح زواره فرصة للاستجمام والتجدد، وهو يقع على بعد خطوات من المعالم السياحية الكثيرة للمدينة كمثل: Half Moon Bay Golf Club, Paradise Palms Golf Club, Cairns Kite Boarding. استمتع بالخدمات الراقية والضيافة التي لا مثيل لها بهذا الفندق في كيرنز. يقدم الفندق واي فاي مجاني في جميع الغرف, واي فاي في المناطق العامة, صف السيارات, التوصيل من وإلى المطار, رعاية أطفال لضمان الراحة القصوى لضيوفه. تتضمن كل غرف النزلاء وسائل الراحة والتسلية المصممة خصيصاً لضمان الراحة القصوى للضيوف. صممت خدمات الاستجمام في الفندق والتي تتضمن مسارات المشي, حوض استحمام ساخن, شاطئ خاص, مسار جولف - ضمن 3 كم, حمام سباحة خارجي لمساعدتك على الاسترخاء والراحة. إن Beachfront Apartments on Trinity Beach هو خيار ذكي بالنسبة للمسافرين إلى كيرنز، بما يوفره من إقامة هادئة ومرحة. تتوفر انتقالات مجانية من المطار وإليه حسب الطلب. Group of four stop over for three nights. Second floor overlooking the beach, great sunsets and sunrises. 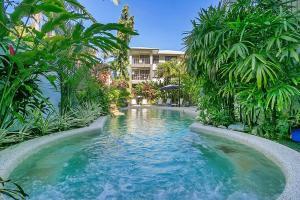 Short walk to nearby eateries, quiet at night and easy walking paths along beachfront. A great place to stay ! Thanks Bradley. I’ve visited the Cairns region many times inthe last few years and nearly always book rooms on the beach front. There’s something really relaxing about wandering out of your room and heading across the road for an hour ally morning dip in the ocean, combined with the multitude of restaurants within a short stroll, it’s the perfect place to base yourself when exploring this region. Away from the traffic and bustle of town. 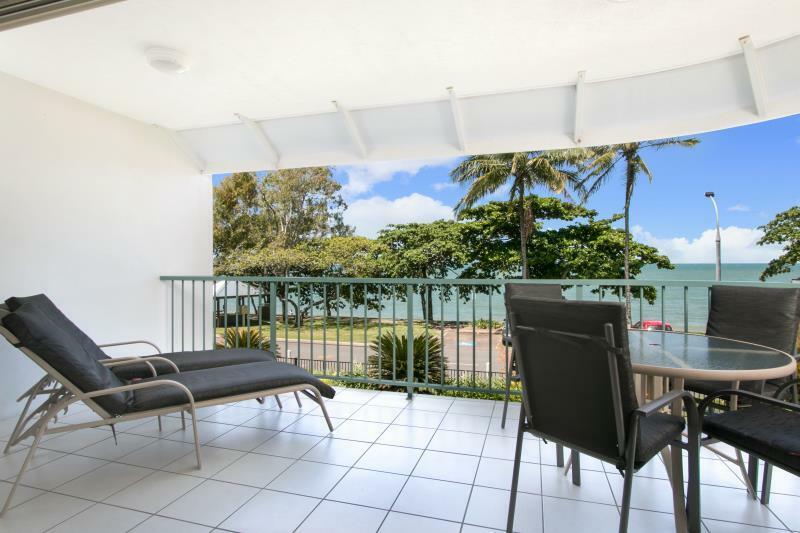 Although this is the first time I’ve stayed at the Trinity beachfront apartments, is thoroughly recommend them to any one who wants a clean, well appointed self contained unit. There’s nothing to buy other than your food. Free, safe parking and free WiFi. Friendly helpful staff and Refreshingly free of swipe cards and security protocols... it’s just like having your own place on the beach. Enjoy. Great apartment with great location and available and helpful management. Would love to go back one day. This might be a local thing for serviced apartments but would be great to have daily refresh of bathroom and kitchen consumables - coffee tea milk shower gel towels washing soap etc only available day 1. This is an excellent place to stay, it is right on beach. Trinity Beach it self is a very quiet area and has excellent restaurants in the area. The Beach Front Apartments are well equipped and have everything you would need, the surroundings are clean and tidy. The pool area was fantastic and has a BBQ nearby (again it was well equipped) Bradley is an excellent host and has a wealth of knowledge of the area. He is ready and able to assist with any requests or travel booking. I highly recommend these apartments. so much more equipment was available to use. two swim pools and BBQ areas were great. Right on the beach, beutiful Sea view, near by eat outs. Met by Stacey at reception, fantastic lady and so so helpful, felt like we had known here for years in the 1st 5 minutes. She showed me to the room and around it, the apartment was huge, and totally kitted out to the hilt. Fantastic location . very good. very clean rooms. very friendly staff. On the balcony we can see the ocean directly. This is very good experience. Cleaness, Close to beach and Quiet. It was fantastic. The location was very close to the beach and many dining places with various options. It was a short drive to Cairns and close to many of the Tourist activities. We enjoyed our stay at the Beachfront Apartments. It is not far from James Cook University. Trinity Beach is just across the road. Nice swimming pool and jaccuzi. It's a nice trip, and we got back with a fine mood. The boss is very kind and warmful, the rooms are also clean and tidy. Because of the location of the resort is on the side, so that u'll feel very quiet and comfortable to have a nice sleep.The very important is the price is very low enough. We loved staying here. We were upgraded to an ocean view room on check-in. Eddie was very nice, friendly, helpful, and available whenever we needed something. We loved the quiet location, beautiful beach, little shops/restaurants, etc. The apartments had everything we needed. Would definitely stay here again! We stayed at the Appartmetn for two days. The small Trinity beach is right in front of the House. I recommend to book the beachfront Appartments as they have a beautiful view. we got an upgrade to a sea view appartement, because the holiday season was over. this was a nice surprise for us and we enjoied it. the rooms are very big and it was all there for our needs. we could reach all the attractions in 10-15 minutes by car. supermarket and bottleshop around the corner and we recommend strongly the italian restaurant next door. 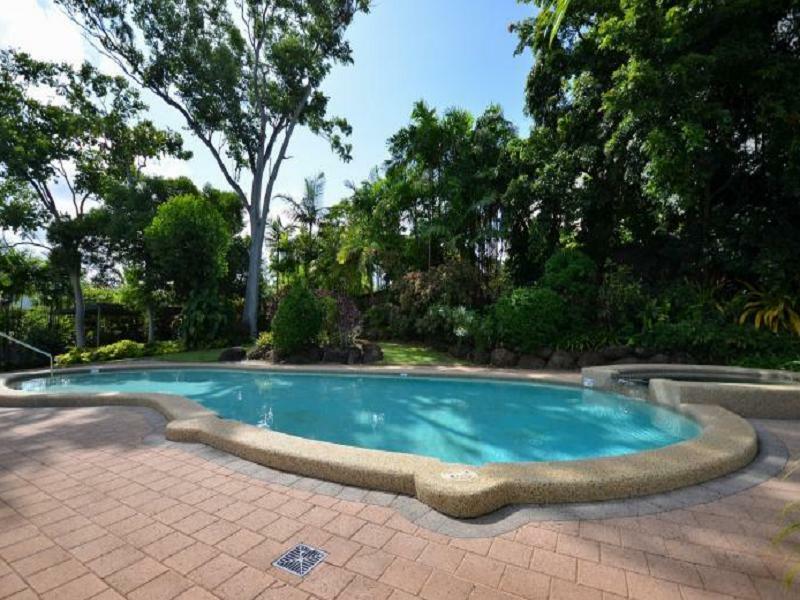 you can book also a diving trip to the great barrier reef directly in the hotel and the pick up is then at the bus stop. Wish we had booked for longer - best value for money I have ever experienced. Beach views, spacious and extremely clean rooms with everything you need for your stay! we very much enjoyed our stay at the beachfront apartments on trinity beach. it was nice to enjoy a costal town like the locals where it was peaceful and away from the hustle and bustle... but the lovely staff had tons of available tours at their tour desk so very easy to make sure you were not too far away from getting right back in the action. the apartment was extremely clean and large areas (super roomy for a couple) and would be great for a family. everything you need is provided for you in your apartment including your own laundry facilities and eski for a beach bbq! really friendly and charming staff, thanks e! made the stay a breeze. beautiful beach across the street and so close, the views were lovely and ocean sounds made for a peaceful sleep. the local tavern next door, yummy treats and two pools to dip into. we really enjoyed our stay and would highly recommend for a stay here if your looking for a relaxing beach get-away. really lovely!